The Danube Box provides knowledge, ideas, environmental skills and materials for a holistic approach to teaching. 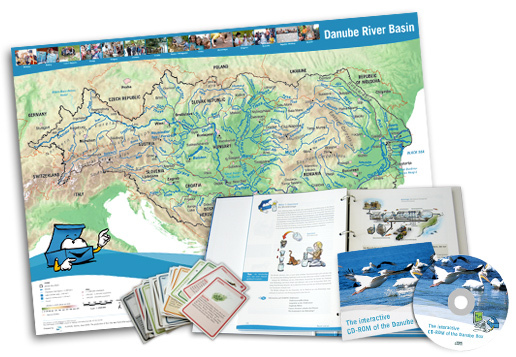 The Danube Box includes a Teachers Handbook (about 250 pages), the Danube River Basin Poster, a set of playing cards and an interactive CD-ROM with pictures and stories from all over the Danube river basin, info maps and background material. Copy and burn a CD-ROM with iso-Image for use in class for an inviting virtual journey along the Danube. Or select one of the single elements in Pdf-format for downloading.